Welcome to the party everyone! Thank you so much for joining us this week! 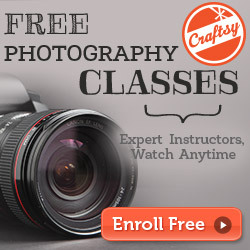 I can't wait to see those creations, recipes, and awesome posts. I hope everyone is having a great weekend. I am busy, busy trying to change out my fall decor. I told my hubby that I'm not leaving the house today, so I can finish up some projects. I will restock the refrigerator tomorrow, even though it's getting pretty bare! I have had a set of nesting tables that I painted over 3 weeks ago! I still have to add the designs on the top of them. My top priority is to get those finished this weekend, so I can actually put some fall decor on them. I love featuring you at the Pick of the Bunch Fabulous Features each week. If you missed those features you can see it here. Here's our top most viewed links from last week's party! 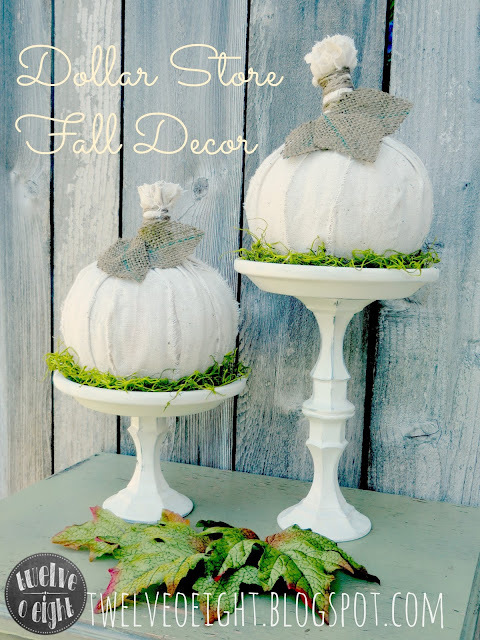 Twelve0eight had the most views with her awesome Dollar Store Fall Decor! These look fabulous on the the stands! I just bought six of these pumpkins last weekend. Time to get busy! 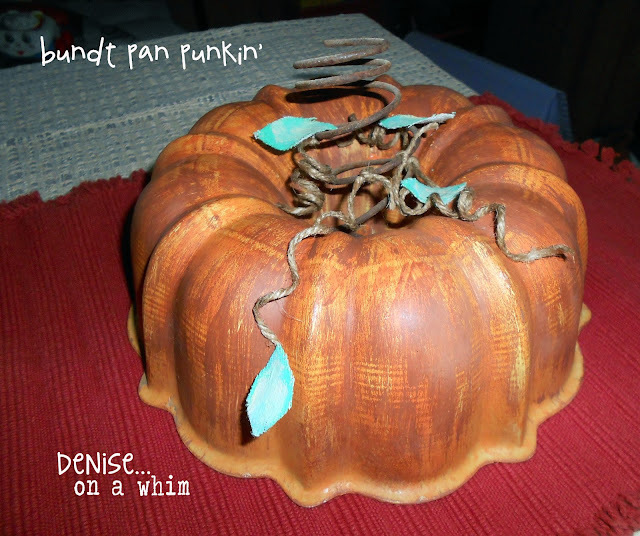 Denise..on a whim created this awesome pumpkin from a bundt pan! 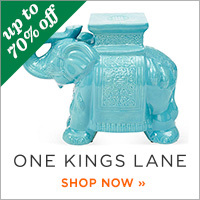 I am seeing it everywhere in blogland! She is so clever and creative! I love it! 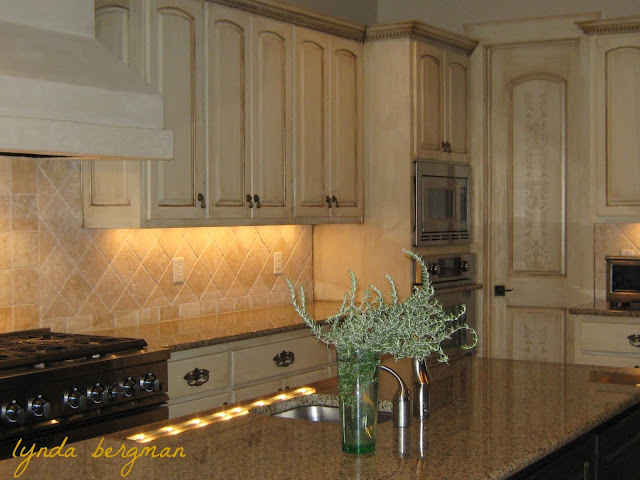 Lynda Bergman shared a gorgeous kitchen makeover! We have been talking about painting our kitchen cabinets, and I love the color of these cabinets. Don't miss all of the fabulous details in this post. 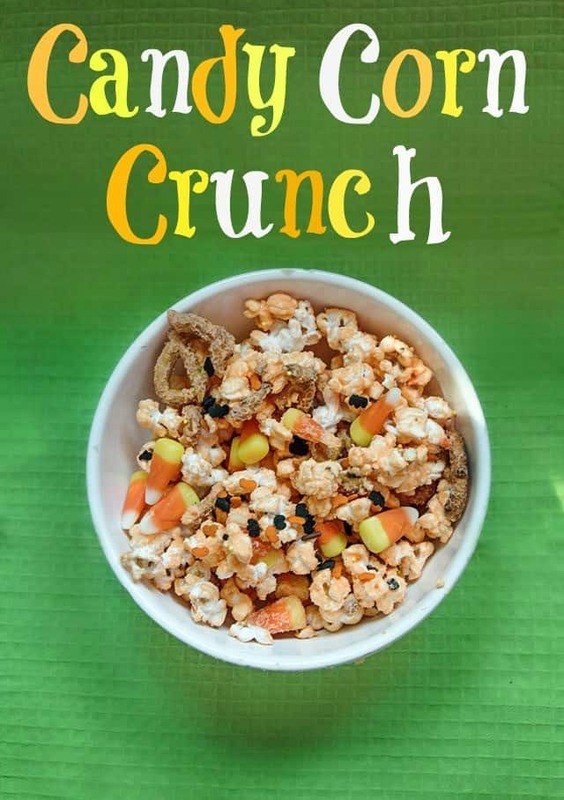 This Mama Loves Candy Corn Crunch was a huge hit this week. I can't wait to make some of this! These Caramel Apple Muffins from Annie's Noms look super delicious! YUMMY! Congratulations to the top views! Thank you so much for partying with us last week. You can grab a featured button here at the bottom of the post! 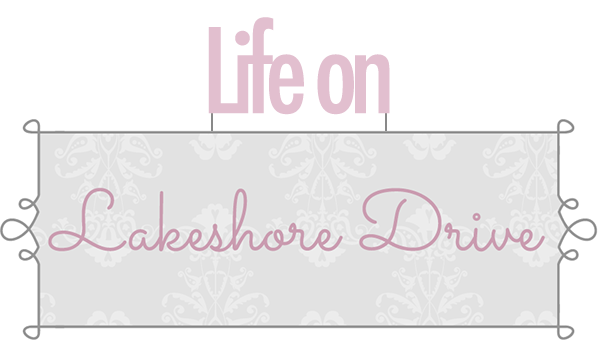 Don't forget to link up to these great parties this week! Feel free to grab a party button! 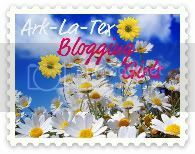 I am looking forward to exploring al the featured posts and I am following you now through all of my social media. Thank you Kathy for another party! Hi Kathy, I loved the funky idea of using a bundt pan for a pumpkin. Thanks for hosting. Have a great first week of autumn. It's great to be back after my hiatus from partying!! Great features this week.... Hope your weekend is Extraordinary! Thank you, Kathy. I always like seeing your features and most viewed...lucky me this time!! Thanks for hosting, Kathy! Thanks also for coming to our It's Fall Y'all party today! Hope you have a wonderful weekend! Thanks for hosting the party. I got some fun ideas. 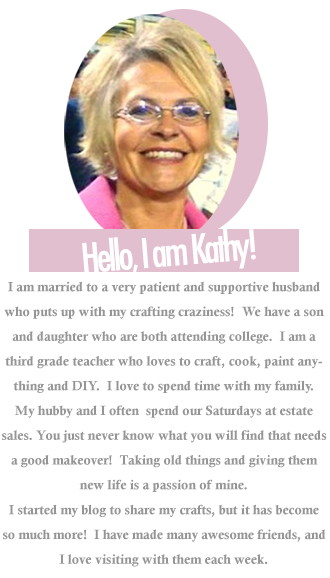 Hi Kathy, thanks for hosting and have fun food shopping tomorrow and I can't wait to see how you decorate the tables. Enjoy the rest of the weekend and next week! I'm so happy to see the pumpkin here tonight! Your kind words are icing on the cake! Thank you so much Kathy! Kathy, thanks so much for hosting this wonderful party! Glad to link up! Have a great week! Thank you for hosting the party Kathy! So many fun things to look at! I hear ya' Kathy. I've done nothing for Fall around my house and I'm not sure when I'll even have the chance with how busy we've been. October 1st sounds like a good target date to me. Thank you so much for hosting again this week. Wow looks like a lot of inspiration..loving all the fall decorating ideas and now I am starving! Thanks for the great party! I hope that you have a great week! Thanks for hosting Kathy! Have a wonderful week! Thank you for hosting Kathy! Excited to share my DIY bar cart! Hi Kathy, thanks for another great party. I made it to the party before my invite arrive :( so, I'm a bit late! 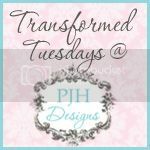 Thank you for hosting....love all of the most viewed posts this week! Ooops....I'm not late, after all! I already entered early in the party :) ADD will make me forget LOL!